While other high chairs only make room for children once they are able to sit properly, Tamino offers a comfortable, safe seat for even the littlest offspring. Our Tamino high chair combines with the Rocco baby rocker so that your little treasure can be safely seated on a par with everyone else. 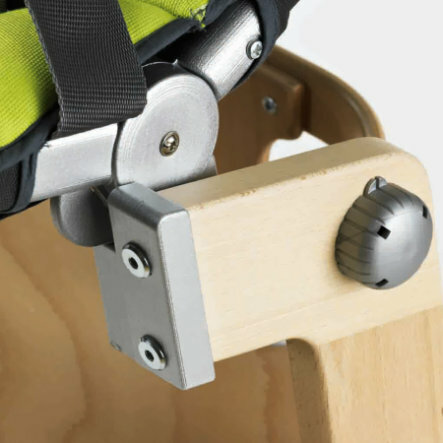 In just a few short steps, without any need for tools, the transformation is complete: first, the Tamino backrest is removed and the perfectly matched adapter fixed to the high chair‘s arm rests. After removing the rocker‘s underframe at the touch of a button, the Rocco baby rocker is then firmly secured on the adapter. Designed to ensure maximum safety, Tamino and Rocco are quite simply a perfect team and rapidly revert back to practical individual players in no time at all.